Statement rings are on-trend in fashion but have always been important in family collections. 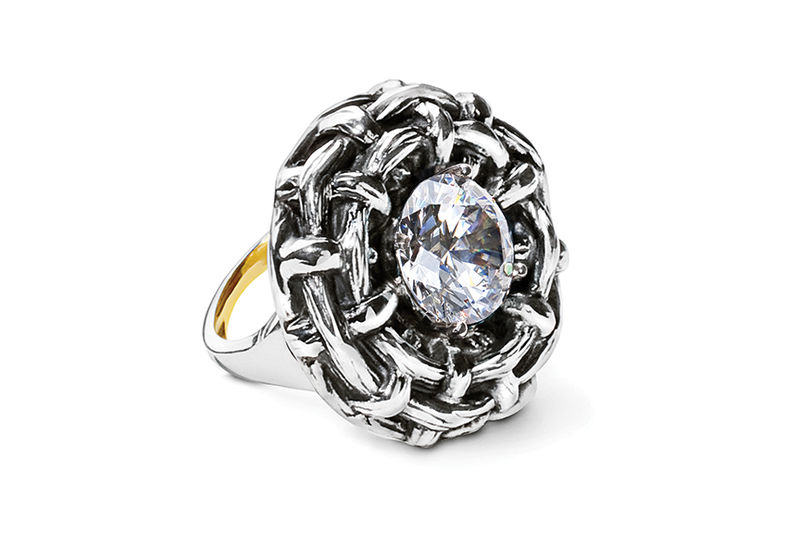 This ring has the look of turn of the century American as well as a modern sensibility. The exquisitely detailed nest of sterling bamboo is crested with a natural crystal quartz stone.